Hillary Morin Peterson of Brunswick, now a grad student in Pennsylvania, named the insect in honor of her home state. The tiny Ormocerus dirigoius is about 2.7 mm long – the size of a grain of rice. 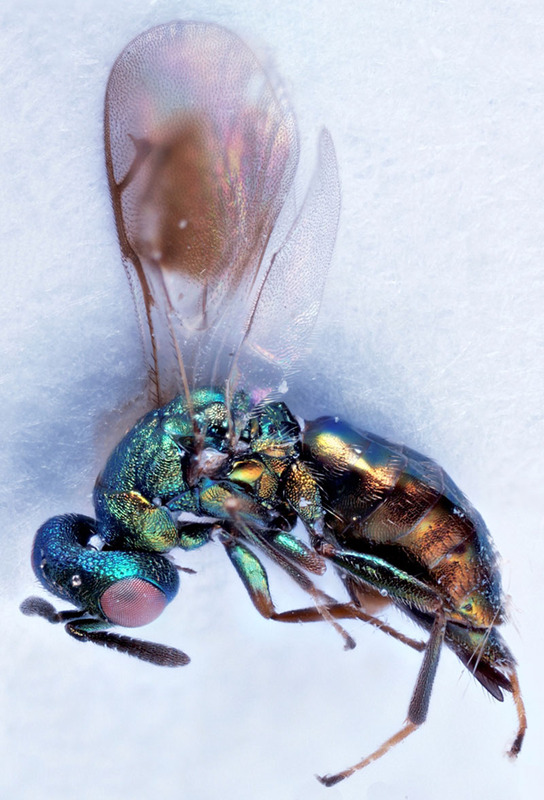 A former University of Maine student has discovered a new species of wasp. Brunswick native Hillary Morin Peterson discovered the wasp species while doing field work for her thesis in Harpswell. The Maine Department of Agriculture, Conservation and Forestry announced the discovery on Thursday. Peterson swept up the small, non-stinging wasp as by-catch while she was collecting specimens of invasive winter moths. Peterson named the wasp Ormocerus dirigoius in honor of Maine’s motto, “Dirigo,” which means “I lead” in Latin. All the wasp specimens were collected in oak forest groves and four were collected from beatings of oak trees. As a UMaine student she wanted to learn more about wasps and joined faculty in the Hymenoptera (Wasp) Blitz at Acadia National Park in 2015. That led to a research stint at the Smithsonian. She’s now a graduate student in the Department of Entomology at Penn State University. Her discovery of the Ormocerus dirigoius is documented in a recent edition of the Proceedings of the Entomological Society of Washington.